An online master's in counseling can be a gateway to a lucrative and rewarding career. The Bureau of Labor Statistics (BLS) estimates that employment opportunities for counselors will grow by 23% between 2016 and 2026, faster than the average growth in the industry. In addition, counselors can expect to earn an annual average income between $40,000 and $70,000. Substance abuse counseling, in particular, currently faces a massive shortage of practitioners in the U.S., which can lead to increased opportunities for qualified candidates with an online master's degree in counseling. This field also offers unique opportunities for counselors looking to work with children, including helping boys express emotions in healthy ways, counseling children through divorce, and exploring emerging foster-care-related mental health practices. Other possible counseling occupations include social workers, community service managers, and school psychologists or counselors. Obtaining licensure as a counselor requires a master's degree from an accredited CACREP/CORE program. Requirements vary, sometimes considerably, from state to state. Students interested in an online master's degree program in counseling should consult their state licensing prior to application. With any counseling degree, official accreditation is not only crucial to the quality of the program, but also invaluable in preparing counselors to take the next step toward a counseling career. The time it takes to complete a counseling degree may differ from student to student and includes many factors, such as education, licensure, and professional experience. Pursuing a master's in online counseling through the now-merged CACREP/CORE program typically requires a bachelor's degree. Counseling programs offered by CACREP/CORE can take anywhere from one to two years to complete and require hundreds of internship hours. Though not necessary for licensure, additional study can lead to a doctorate and advanced opportunities for professional growth. Master's in counseling online degrees, and the colleges that offer them, can vary widely in terms of quality, name recognition, and value. 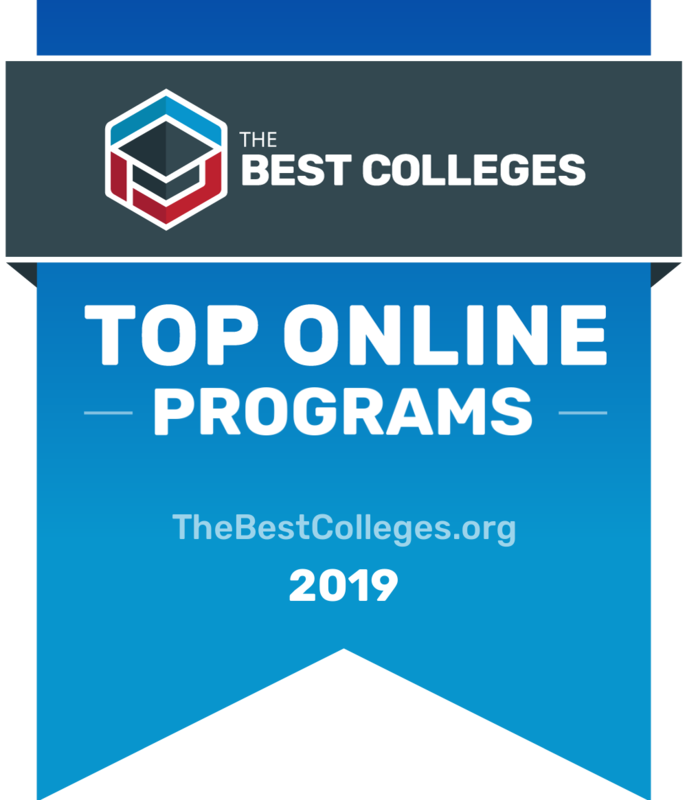 To assist those looking for high-quality accredited online master's in counseling programs, we've put together this ranking of what we consider to be the very best schools offering master's in counseling degrees online in 2018. Our rankings are based on publicly available data, evaluated according to several different criteria, including market reputation, accreditation, student satisfaction, ratio of students to instructors, and tuition. All schools in our rankings are regionally accredited, the highest form of accreditation a school can achieve. Read more about our rankings philosophy, and find a list of our other top college and degree rankings on our rankings page. Online master's in counseling degree programs and the colleges that offer them can vary widely in terms of quality, name recognition, and value. To assist those looking for high-quality accredited online master's in counseling programs, we've put together this ranking of what we consider to be the very best schools offering master's in counseling degrees online in 2018. Our rankings are based on publicly available data, evaluated according to several different criteria, including market reputation, accreditation, student satisfaction, ratio of students to instructors, and tuition. All schools in our rankings are regionally accredited, the highest form of accreditation a school can achieve. Read more about our rankings philosophy and find a list of our other top college and degree rankings on our rankings page. Assessment - An accredited online university, Capella University offers bachelor's, master's/MBA, doctoral, and certificate programs designed to take you to the forefront of your profession. Program: The field of mental health counseling can offer immense personal satisfaction as well as excellent career opportunities. This CACREP-accredited online master's program in mental health counseling offers a rigorous curriculum of online course work, residencies, and field experiences designed to prepare students for state licensure eligibility. Students develop the theoretical knowledge and practical skills needed to assess and treat mental and emotional disorders and promote optimum mental health. Assessment - For more than 40 years, Walden University, an accredited institution, has helped working professionals reach their educational goals. Program: Prepare for a career as a professional counselor with Walden University's CACREP-accredited master's in clinical mental health counseling program. Examine a range of topics related to the counseling field, including assessment, legal and ethical concerns, and intervention, and prepare to help individuals and groups with family, mental health, career, military services, forensic, and educational issues. Assessment - This small, private New Mexico school offers an affordable online masters in counseling with intimate class sizes and a faith-oriented perspective. Program: University of the Southwest's online master's degree in education mental health counseling is a 48-credit-hour degree program designed for students interested in pursuing a career as a licensed professional clinical counselor (LPCC). Students will develop a thorough knowledge of basic counseling theories and techniques, and learn how to apply them with a diverse range of clients and settings. Required practicums and an internship can be completed in a variety of mental health systems, as arranged by the student with the approval of the school. In this broad field, counseling professionals work with people of all ages and ethnic backgrounds. Counselors can specialize in content areas, such as marriage, career, educational, or rehabilitation counseling. They often work in hospitals, schools, residential care facilities, or halfway houses. Candidates should demonstrate empathy, problem-solving abilities, effective communication skills, and multicultural competence. These counseling professionals interact with couples, families, and individuals experiencing problems that affect their health or wellbeing within relationships. Candidates with advanced degrees grow in their careers, start their own practices, and may qualify for clinical programs. Online counseling master's degree graduates qualify to work as rehabilitation counselors. In this field, professionals counsel those suffering from mental, developmental, or emotional disabilities. Counselors implement strategies for dealing with different types of disabilities, provide resources, and maintain client records. Work environments include community guidance organizations, elderly community centers, and rehabilitation centers. Graduates with advanced degrees qualify to work in elementary and secondary schools and universities. Individuals may also work for the state and other local facilities, while some practitioners open their own private practice. These professionals work with minors to administer aptitude assessments, evaluate school performance, identify developmental issues, and outline career paths. Professionals in this field assist individuals addicted to various substances or those displaying behavioral disorders, suffering from eating disorders, or struggling with mental health issues. These counselors work in mental health facilities, prisons, juvenile detention centers, or probation agencies. Others may work within treatment centers that visit their clients' homes to provide care. Counselors specializing in genetics must hold a graduate degree. These professionals manage and research family medical histories to evaluate genetic information in addition to providing options for patients at risk of diseases. Genetic counselors also provide information and education on preventative methods. Many practitioners work in hospital, state, or home settings. Licensed counselors earn an average median salary of $45,238. Within this diverse field, specialty areas and location play an important role in counseling salaries. In addition, counselors who open private practices may make more than those working for other organizations. Students exploring a master's in counseling should consider each program option carefully. Programs not regionally accredited may exclude coursework considered pertinent in other programs. On the other hand, state standards may vary, which reflects in each schools offered coursework. Counseling Theories: This course strengthens the understanding of psychology and mainstream approaches to counseling. Coursework emphasizes awareness of the counselor's own personal attitude, ethics, and values. This content benefits future family and school practitioners, as it sheds light to unconscious biases that may be present when dealing with individuals from varying cultural backgrounds. Human Sexuality, Aging and Long-Term Care: Dealing with aging populations brings new concerns for mental health care. Issues with sexuality arise with the shift in lifestyle, which impacts clients both mentally and physically. Student in this course learn best practices to address the needs of geriatric clients. Group Counseling Theory and Practice: In this course, students explore group development and dynamics, ethical standards, and counseling theories. This course also teaches students how to appropriately select criteria and developmental stage theories for their future clients. This content is especially helpful for counselors working in rehabilitation settings. Spousal and Child Abuse, Crisis, and Trauma Counseling: Students explore theories and strategies linked to counseling trauma victims and performing crisis intervention. Coursework covers spousal or partner violence and child abuse. This course also covers ethical conflicts and the legal aspects of counseling, benefitting professionals who plan to work in family or school counseling. Human Development and Developmental Trauma: Professionals working with adolescents in schools or juvenile facilities can focus on childhood development and trauma through this course. Here, students explore adolescent transitions by examining theories of learning and personality development. Students analyze the impact of childhood trauma, focusing on attachment in both the child and family. How Long Does It Take to Get an Online Master's in Counseling? Convenient and flexible online programs allow students to maintain full-time jobs, study from anywhere, and maintain control over their workload. At the same time, some coursework only takes place during certain semesters, and student pace varies, which can affect program completion time. Students interested in online learning should also consider the difference between self-paced and cohort-structured programs. While self-paced learning allows students to work on their own time without confining due dates, there is no facilitator to assist when feedback might be helpful. Cohort learning provides students with due dates for assignments and an instructor to provide feedback. Students must also complete collaborative assignments, which include discussions, video submissions, and group work. An online master's in counseling typically requires 36-60 credit hours and can be completed in under three years of full-time coursework. Licensed Professional Counselor (LPC) License: This license requires a graduate degree in counseling, a supervised postgraduate experience, and passing a licensing exam. This title distinguishes practitioners from other counseling professionals with different knowledge bases, ethical standards, or levels of professionalism. Licensed Professional Clinical Counselor (LPCC) License: An LPCC license is the next level beyond an LPC license. To qualify, practitioners must present two years of supervised experience under an LPCC-S and a letter of eligibility. License holders act as primary care providers and can offer prescription treatment to address illnesses. National Certified Counselor (NCC): Certificate holders demonstrate expertise in ethical practice counseling. This certification enhances credibility and reputation. Counselors also gain a competitive advantage over their uncertified peers. Applicants must hold a graduate degree that satisfies mandatory coursework, 100 hours of supervised postgraduate experience, and a minimum of 3,000 hours of field experience. Online counseling degree programs currently rank among the most popular in online education. Prospective students seeking an accredited online master's in counseling have several high-quality options to choose from, with top counseling programs now offered online. Some take place exclusively online, with practicums and internships arranged in the student's home community. Pursuing a top master's degree in counseling online degree can help students manage employment and/or family responsibilities while furthering their education. When exploring financing options for an online master's program in counseling, students should begin by filling out a Free Application for Federal Student Aid (FAFSA). Federal funding comes in the form of grants, scholarships, work-study awards, and loans. Most universities offer both general and specific scholarships based on content areas. On the other hand, professionals already working in the field can inquire about tuition reimbursement programs offered through their workplace. At the graduate level, students also qualify for fellowships and scholarships for aspiring licensed counselors. To determine the best online Master's in Counseling programs, we looked at the most important factors prospective students, mainly common predictors of future success and a school's commitment to online programs. This boils down to admissions rate, student loan default rate, retention rate, graduation rate, and the percent of students enrolled in online classes. All data points are taken from information provided by colleges and universities to the National Center for Education Statistics. Each factor is weighted evenly in order to give an objective view and determine the 3 best online Master's in Counseling programs. To calculate our rankings, we looked at a school's ranking when organized by a single factor, and then averaged each category's ranking to find an overall score: Admissions Rate (20%) + Default Rate (20%) + Retention Rate (20%) + Graduation Rate (20%) + Percent of Students Enrolled in Online Classes (20%) = Final score.